In the beginning, when they realize they are starting to like you a lot, they try to resist. Because of their nature, they find it a little hard to believe that they actually like someone with whom they do not want to be for just one day or one night. They resist partly because they see themselves getting soft which they hate and partly because they are afraid they will get rejected because such is their level of admiration for you. Before stepping in, they think of stepping out. Her habit of respecting the relationship and him fascinate her as he tries to reciprocate them. He learns about all the things that accompany love. We have all known guys who wished to change something about us like our taste in clothes and anything else that should completely be our choice. 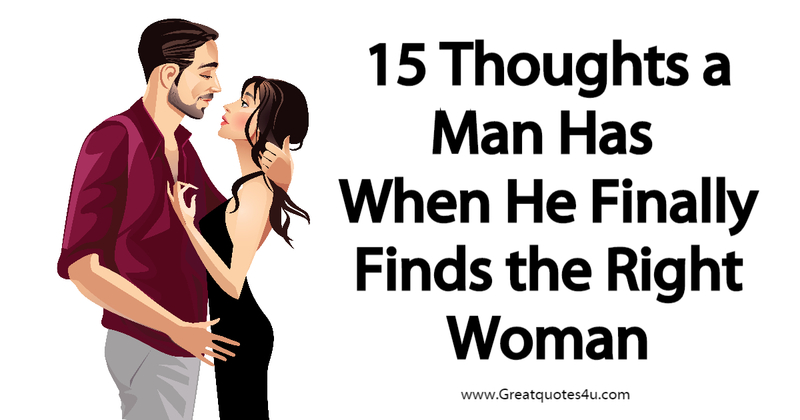 With this guy so in love with the woman he thinks is right for her, it will not be like this; he will not want to change a single thing about her and would want to keep her the way she is because that was the girl he fell in love with. Her imperfections would be so perfect for him. The chills and the sweats that guy get when commitment or anything related to it comes up is something we are all familiar with. They freak out and try to stay distant from all of it. But for the guy who has newly discovered the meaning of love in a woman, the future is not scary at all. He is not afraid of having to change his life for her and with her; he is ready to take every turn that appears on the path he is walking on as long as she is by his side. He is not scared. He tries working a little too hard on himself when he is about to meet you. Everything now revolves around keeping you interested. He starts wondering if you feel about him what he feels about you and if you are willing to be with him for as long as he wishes to. Do I look good enough to be with her? Am I a good person? Do I deserve her? He asks these questions to himself too often now. With The Right One, he never has to experience awkward silences and he loves it. With all the other women he has been with, there was never really a lot of things to talk about but here, with both of you equally interested, the conversations never seem to bore him. In fact, he loves to talk to you because he loves the flow of it. He loves how easy you have made it for him to communicate without losing confidence. With The Right One, everything is a little more fun. He wants to settle when it comes to being with the right woman. People tend to play games in relationships by dividing their attention and scoring other dates while they appear to be in a relationship with someone. Suddenly, for the guy who used to play games, all those affairs seem to be immature and meaningless and he does not want to play them anymore. All he wants from life, now, is spending it with her peacefully without any more games being played. A serious relationship is what he wants now. At this stage, he will have given it to her. Even if she is an average woman for the rest of the world, he will see her as the most amazing human being to ever exist; such is love. For him, she will stand out from other women and no other woman will ever be able to look or be as good as her. Everything will go swiftly to his surprise because he had never been one to believe in perfect relationships. Instead, he thought of relationships to be ‘too high-maintenance’. Now that he has found himself standing in the same circle of which he avoided the boundaries, he finds it somehow surprising that he has gotten so far without doing much. He will marvel at the fact that a woman, so easily, made him do the things he never would have done otherwise. He will find it new and he will love it. Enjoy your stay, Have a Nice Day ! DO NOT Ignore These 9 Symptoms Of Stress! SCIENTISTS CONFIRMED: This Is The World’s #1 Food For Heart Attack, Hypertension, Stroke And Cholesterol! The First Letter in Your Name Predicts your Character.